QF series notching machine is another kind of professional sheet metal equipment developed by our company, This kind of machine can be classified into two specification by the thickness of Q235 steel plate: 0.5-4mm and 0.5-6mm, cutting length 200mm, cutting angle of angle-fixed notching machine is 90°, cutting angle range of angle adjustable notching machine is 40°~135°. The angle can be adjusted arbitrary within angle range until reach the ideal state. 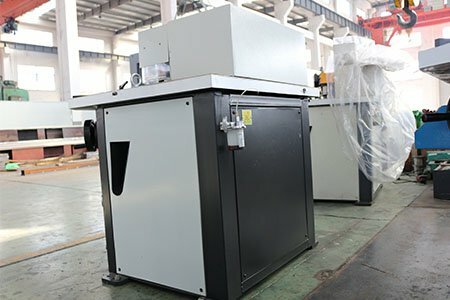 Overall welded main structure is durable, what the notching machine needs for meeting general processing requirement is only the standard cutting tools, unlike general notching machine that one set of die just suits one angle or thickness workpiece, namely, this kind of machine can reduce the use cost and frequent die-changing trouble, significantly improving the work efficiency and reducing the labor strength, and minimizing the worker danger coefficient, at the same time, creating a quiet working environment for workers. Notching machine can be used to cut metal plate with high cutting speed and high cutting precision, Cutting stroke of the machine can be arbitrarily adjusted according to plate thickness, its performance is safe and reliable, widely used in automobile factory, boats, elevators, electrical equipments, pipeline, cooking utensils and stainless steel products and many other fields. 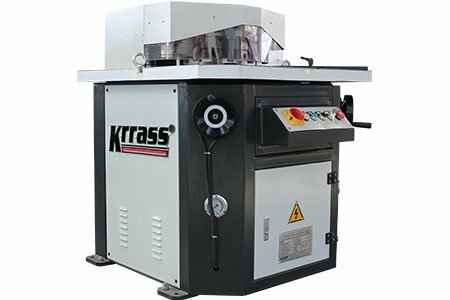 1) Compact structure, mechanical structure ensures the machine rigidity, with solid guide to ensure the best cutting accuracy and the cutter life. 2) Pedal switch control, easy operation; manual and cycle work modes are available for your choice. 3) Calibration indicates angle, through hand wheel adjust the angle, very convenient. Contact Us Now|Get Reply Within 1 Hour!